The Dark Knight is rising! The final installment in the Christopher Nolan series is due to be released July 20 2012 in the United States. 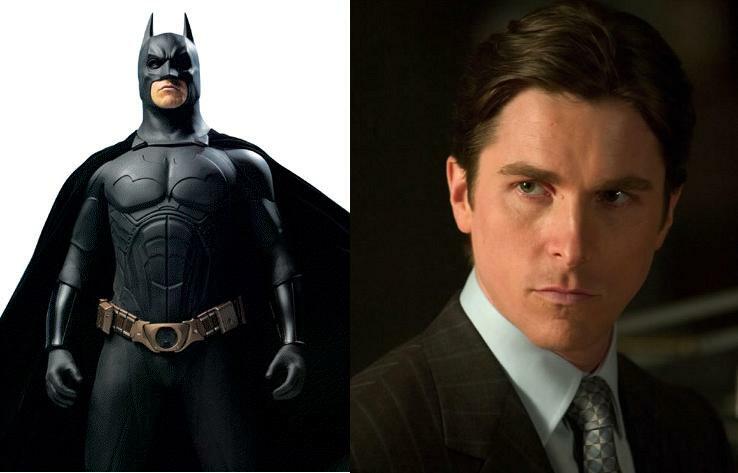 Once again, Academy Award winner Christian Bale will bring life into the comic book hero known as Batman. BALE: It's the opposite of self! It's actually saying, "I don't stand a chance being myself. I've gotta create somebody else in order to communicate. If I remove myself from all of my own memories and inhibitions and create another character… I can reach out and communicate in that way." So to me, it's actually about trying to destroy the self, and then you might be able to hit something. There's some quote, I think it's Oscar Wilde, "An artist puts nothing of himself into his art." BALE: I'm not on a couch having therapy. And it's very limiting if I have to be able to relate every damn thing in somebody else's life to something that's happened in mine. At the end of the day, I'm faking it. Pure imagination, and it's only phony if you don't go far enough with it. You can become obsessive and it can get to the point where you're almost losing yourself. You've become a vessel. And then, things start happening. (2) Push the Envelope! Be over the Top! BALE: One word: Immersion. It doesn't matter whether I would be acting or doing anything else. It's about taking things a little too far. It's about you don't know the edge until you've gone over it. That fascinates me. To create a believable character out of a comic book hero, Christian Bale digs deep to create the character. One of the keys to Bale’s acting style is to repress the self and his own inhibitions. With the self in check, Bale is able to become a vessel that enables pure communication between his character and the audience. A secondary element is to ‘take things a little to far’ or push the envelope. If you don’t push the envelope, you will likely end up with a mediocre result. What does this statement refer to in the field of acting? (2) Do you believe the artist can separate her/himself from their work? (3) What do you think about the statement below? (1) He is referring to ‘method acting’. (2) No correct answer just your thoughts and the thoughts of others. (3) No correct answer just your thoughts and the thoughts of others.